From large companies that require a workforce of thousands, to smaller companies that need fifty or less, readySC™ is there to recruit and train the right workforce for the job. An effective Discovery trip can be a key component to defining those needs. 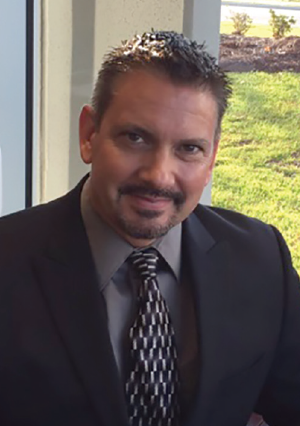 Dan Guzman, general manager and senior program manager of AMT South Carolina, talks about how readySC’s initial Discovery trip helped customize a successful training program for his company. 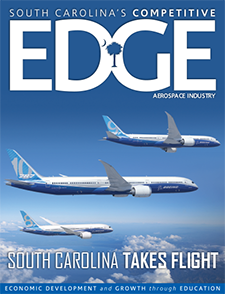 EDGE: Please tell us about AMT South Carolina: its history in the state and any plans for growth. Dan Guzman: AMT South Carolina is an expansion facility of Washington-based Senior Aerospace AMT. The company came to South Carolina as a Boeing supplier, with primary operations focused on the assembly of structural components supporting Boeing 787 production. Our facility started with an existing statement of work that we were delivering to the area already. Our primary focus in opening the facility was to provide value-added support to Boeing with reduced lead times, point of use and just-in-time deliveries, and the potential for new work opportunities. The facility begun operations in February 2015 and had our first deliveries to Boeing South Carolina in May 2015. Today AMT South Carolina is comprised of 26 team members with 22 being hired and trained from the local Charleston area. Plans for growth are predicated on new business coming into the facility with the potential to expand into machining operations. EDGE: How did the readySC program contribute to your company’s successful startup? DG: The readySC program was a huge contributor to our successful startup of our facility. Prior to starting operations, readySC sent a team to Arlington, Washington, to survey our company’s needs for training requirements for the new facility. A custom training program was developed with extensive collaboration between our Senior Aerospace AMT training department and readySC. There were strategic reviews of the program throughout the process to capture and implement improvements to the training program. We utilized SC Works for the recruitment portion which identified and screened potential candidates. 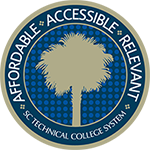 Once our new hires were selected, readySC provided a four-week training program covering both classroom and lab applications with a summary of results and progress. The result was a team of associates who were well-trained and proficient in the key skills that our operation required. EDGE: What was the top positive outcome of readySC’s training program? DG: The greatest benefit to the program was the level of training received by our associates from readySC. The program being a “local” resource for training that aligned well to requirements of our existing company training program was very beneficial. The fact that readySC was at zero cost to the company, as part of the state’s incentives to businesses in the area, was a great benefit to our budget. EDGE: What would you like to highlight about your training program? DG: The training program was comprehensive, covering the key skills that we required for operation in our facility. The team hit the ground running with a good baseline skill set and certifications to complete the work. Key skills included: sealant applications, drilling and fastener installation, countersink, bearing and bushing installation, and bond and ground applications. EDGE: How well did the readySC program prepare your workforce for production? DG: My team members who completed the program have all done very well in applying what they learned to their day-to-day production tasks. They are excelling, growing in skills, and positively contributing to our business every day. We have promoted three members of the team to production lead positions that were graduates of the readySC/ Senior Aerospace AMT training program. EDGE: Can you think of a word or phrase that best describes the readySC program? DG: Some of the words that come to mind are: “partner, outstanding resource, extensive knowledge, professional, responsive to company goals and requirements, cost effective.” readySC was an excellent extension of our existing training program. This was critical with our expansion facility being 3000 miles away from AMT Arlington. EDGE: If you were to recommend readySC to another company, what would you say? DG: My personal experience is that the readySC training program works! Taking the time to engage readySC, allocating and committing company resources to develop the program, and providing detailed, timely feedback on the success and misses will yield a comprehensive, customized training program that has a strong probability of meeting your key training objectives. EDGE: Is there anything else that you’d like to add? DG: The readySC team was professional with excellent experience in the area of skills we required for our manufacturing facility. The team was engaged and absolutely focused on the specifics of what our training needs were. The readySC program definitely was one of the key factors to our successful startup. and Gulfstream GV. Core competencies include 3, 4, and 5 axis precision machining of aluminum, and simple and complex assemblies for their customers. Senior Aerospace AMT was founded in 1980 with operations in Arlington, Washington, and is part of Senior plc. Senior is an international manufacturing group with 33 autonomous and collaborative operations across 14 countries and over 7,000 employees. It is listed on the main market of the London Stock Exchange (symbol SNR). Senior designs, manufactures and markets high-technology components and systems for the principal original equipment producers in the worldwide aerospace, defense, land-vehicle and energy markets.